The proud symbol of our great nation, this majestic eagle will dignify the rooftop of your home, garage, cupola, barn or gazebo! 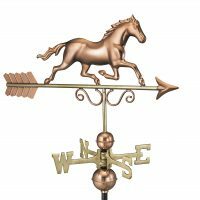 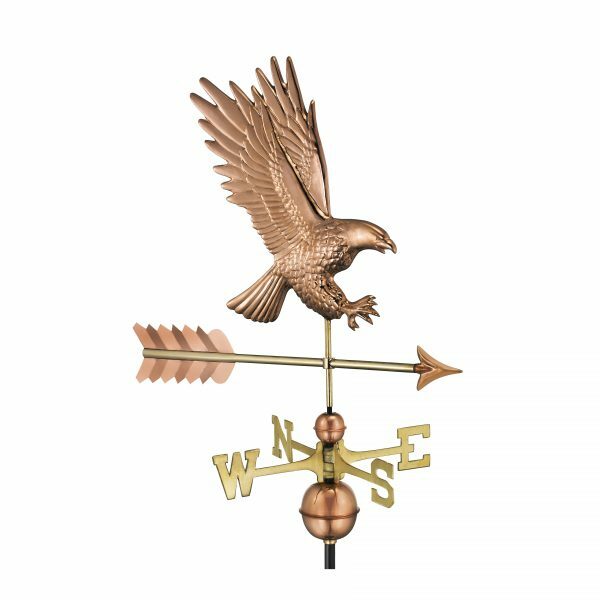 For over 35 years Good Directions pure copper weathervanes have been unsurpassed in style, quality, and durability – perfect for the house-proud homeowner. 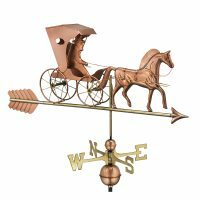 Bring The Joy of Outdoor Living℠ to your home with this heirloom-quality piece. 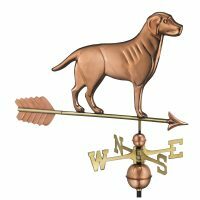 Assembled Size: 26” L x 43″H x 18″W; Figure-only: 26″L x 25″H x 2″W.